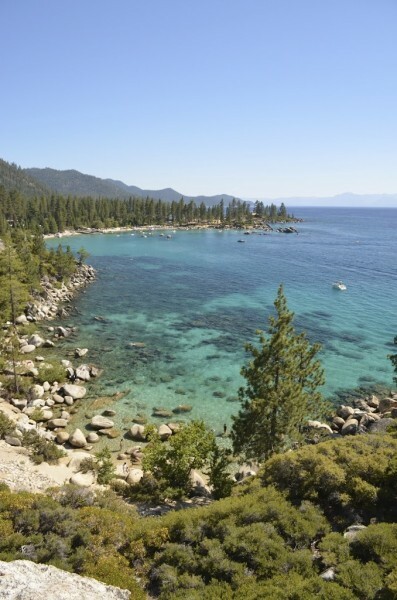 Lake Tahoe, California, is one of my favorite places in the entire United States. This trip was our 5th time out during the summer. I’ve been going since I was about 5 years old. 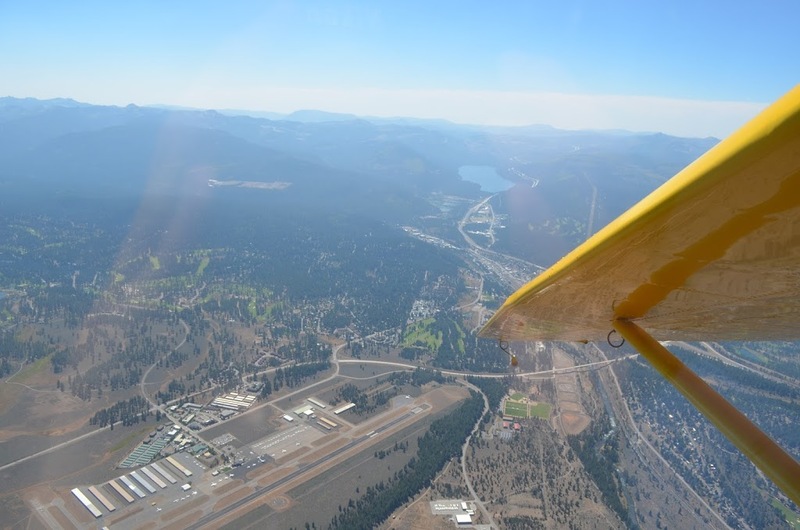 Never having seen it from the air, I was pretty excited for the chance to fly over it! Originally, the plan was for me to take a Cessna 172 mountain training lesson out of the Truckee Tahoe Airport (KTRK). 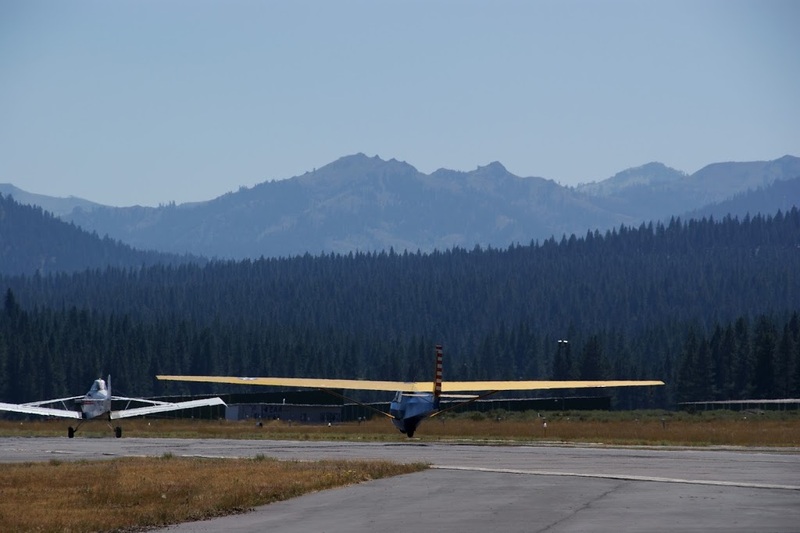 That morphed into a glider lesson with Soar Truckee out of the same airport. 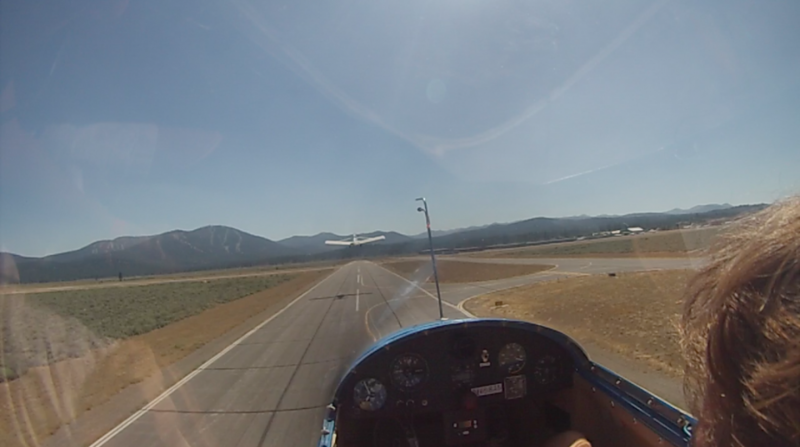 I decided that it would be more valuable to learn a little bit about gliding and get some mountain training vs. flying in the normal C172. 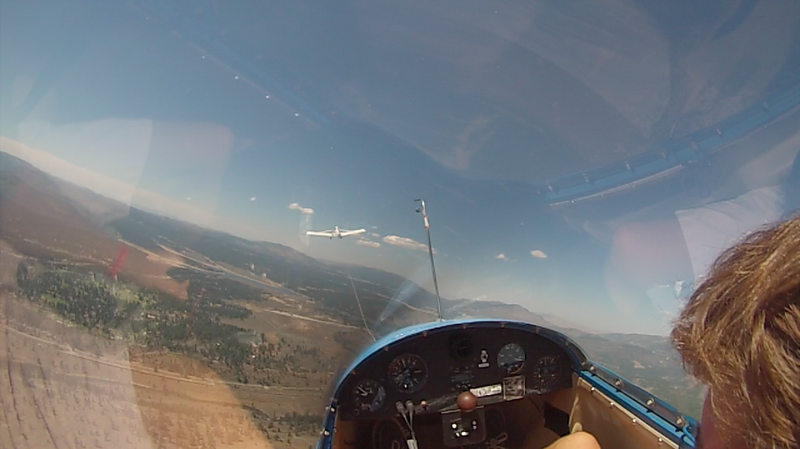 I was excited for my first opportunity to fly a glider, but not just anywhere, in a world famous gliding range. 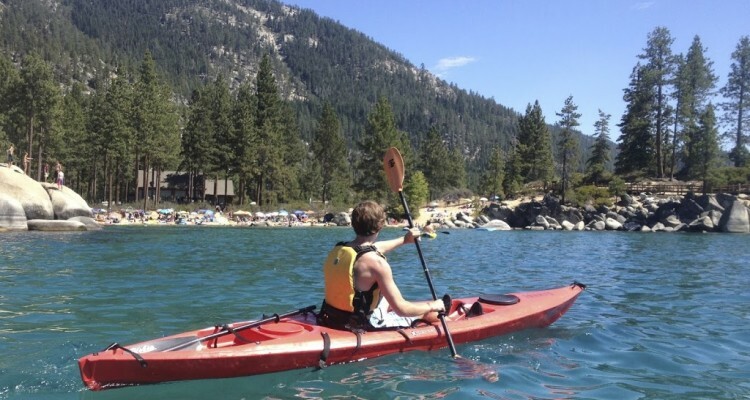 Lake Tahoe is essentially a 22×12 mile long granite bowl surrounded by snow covered mountains, in the high Sierras. It sits on the border of California and Nevada. Needless to say, after years of vacationing there, I was excited to see everything from a different angle! Arriving at the Truckee Tahoe Airport, we drove past the main terminal and followed the signs for Soar Truckee. 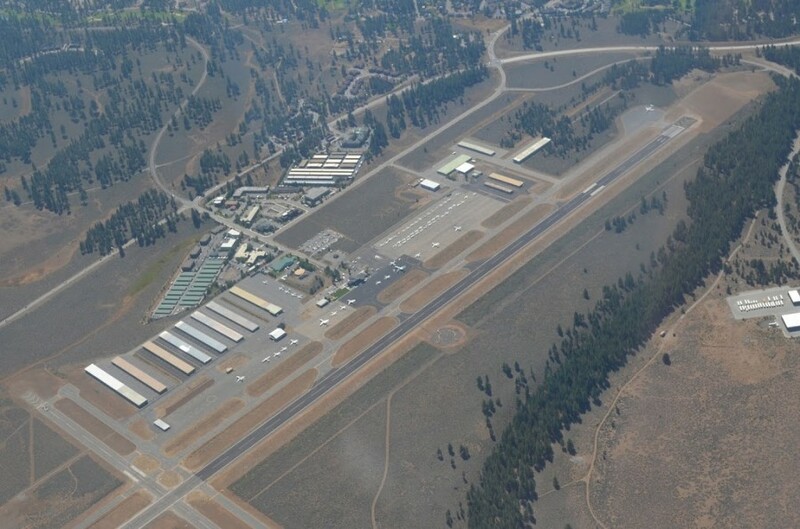 This was my first FBO I’d gotten to over dirt road! 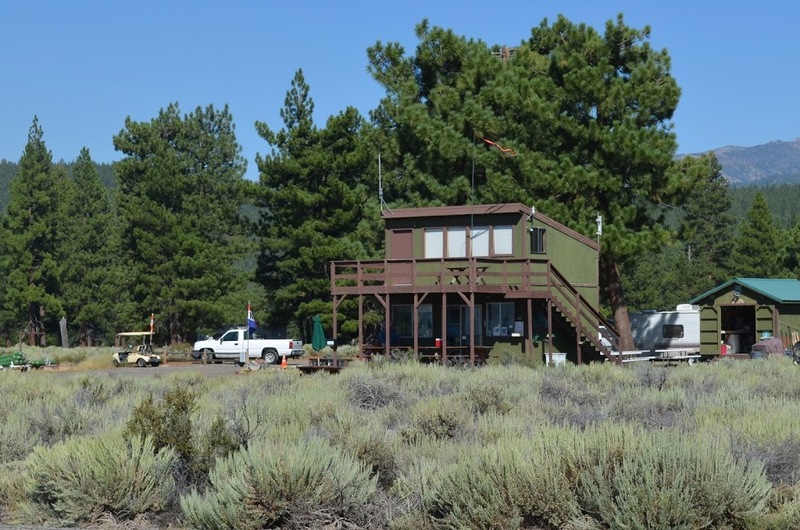 The Soar Truckee FBO was small but nice. There were numerous gliders stored, sitting out, landing, and taking off pretty much every time you looked somewhere else. 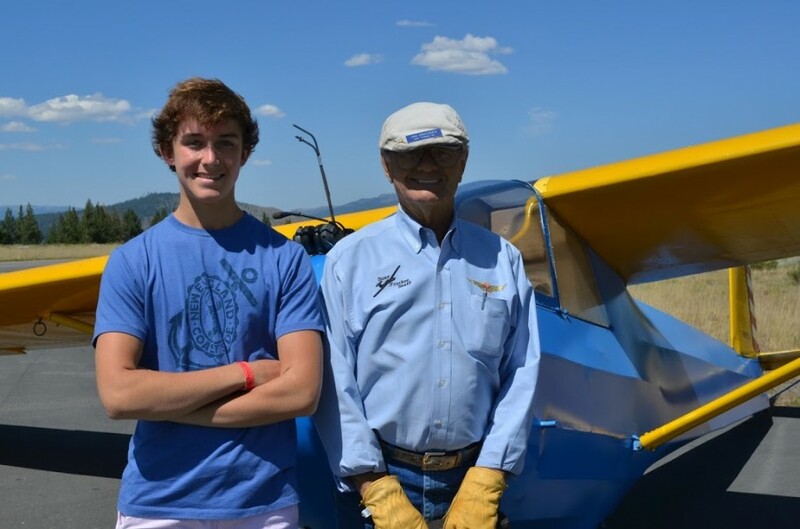 I was introduced to my instructor, Jan, who had been flying gliders for 59 years. 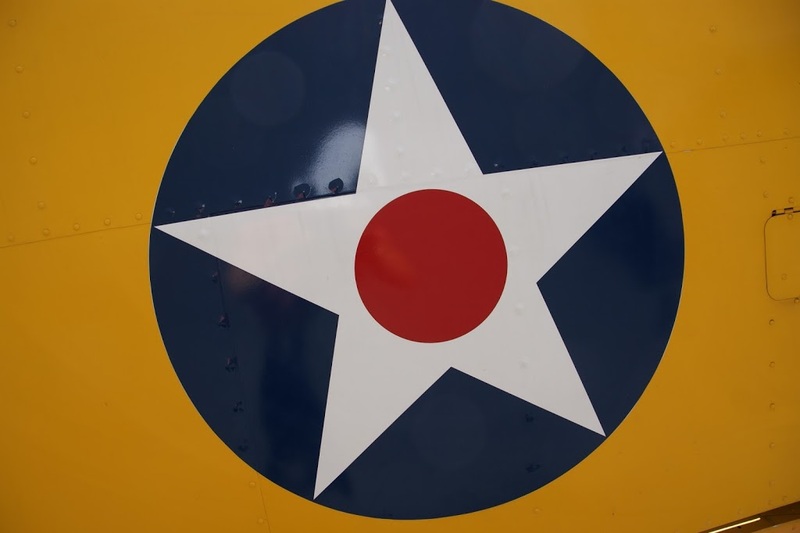 He flew in the Belgian Air Force, flying fighters. 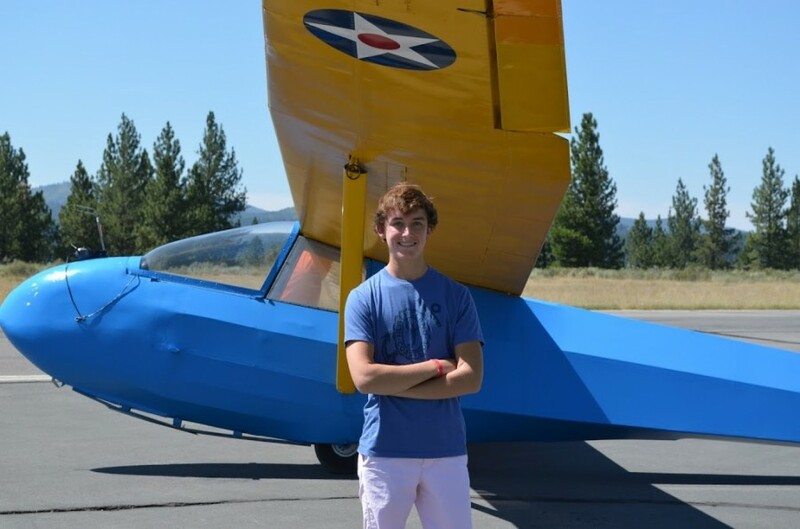 In addition, he’d accumulated over 22,000 hours just in gliders! 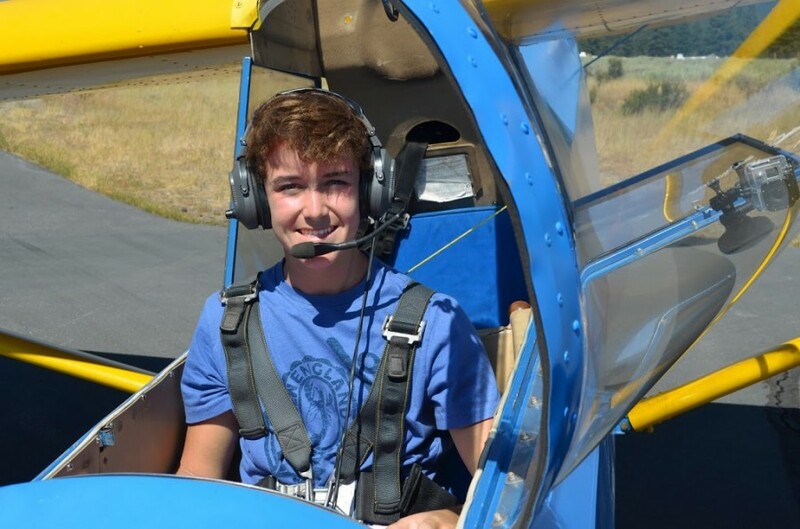 We were to fly in a Schweizer SGS-2-33 (N65825). This training glider first flew in 1965. 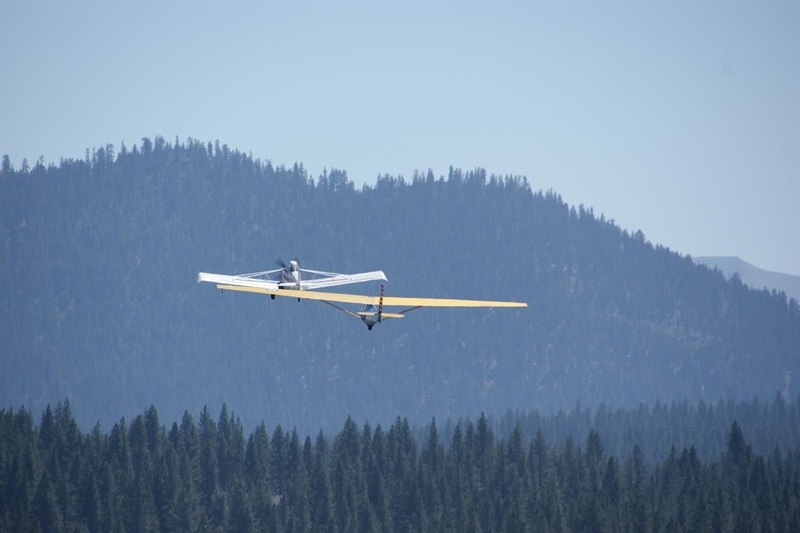 It is nearly 26 feet long and has a long wingspan of 51 feet. It’s empty weight is only 600lbs! 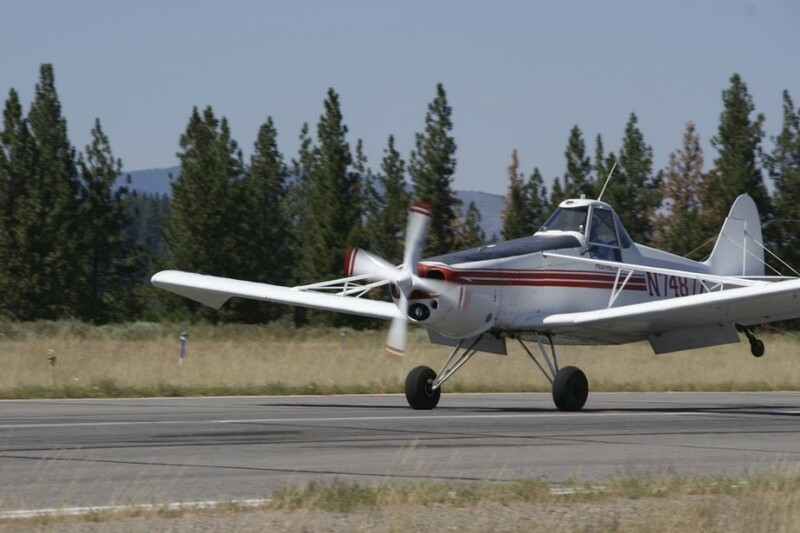 As of June 2011, there were 347 SGS-2-33’s still registered in the USA. 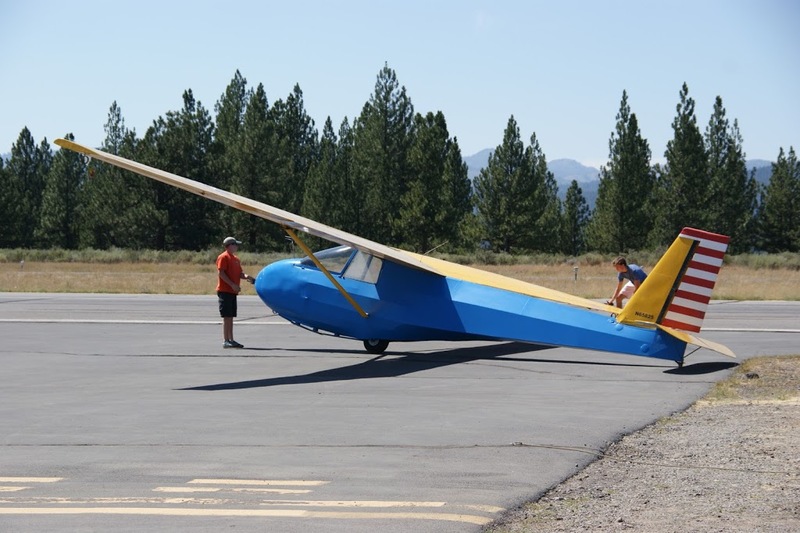 From the very beginning, I was put right into the middle of things helping get the glider ready for flight. 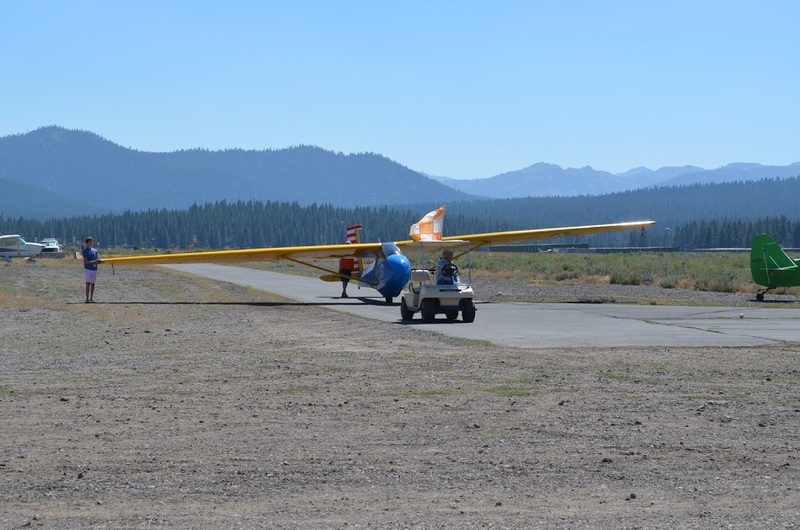 I helped taxi the glider out by holding onto the wings… something I hadn’t ever done before! 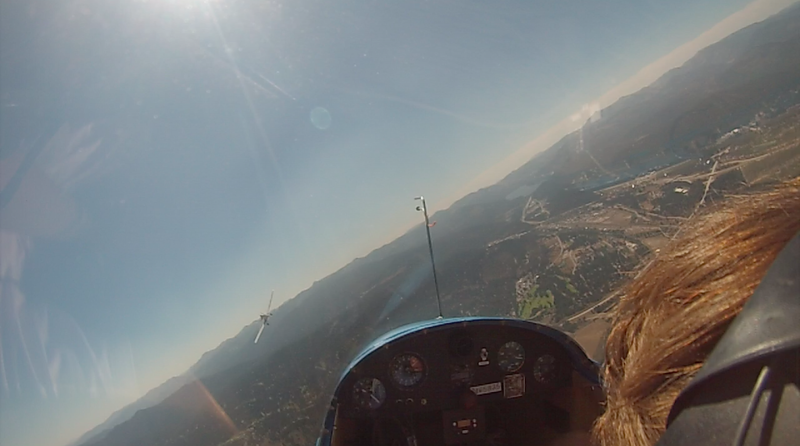 Before I knew it, I was getting all strapped up into the glider and got my GoPro Camera set up on the canopy. I would be lying if I said all went well for me during the flight. 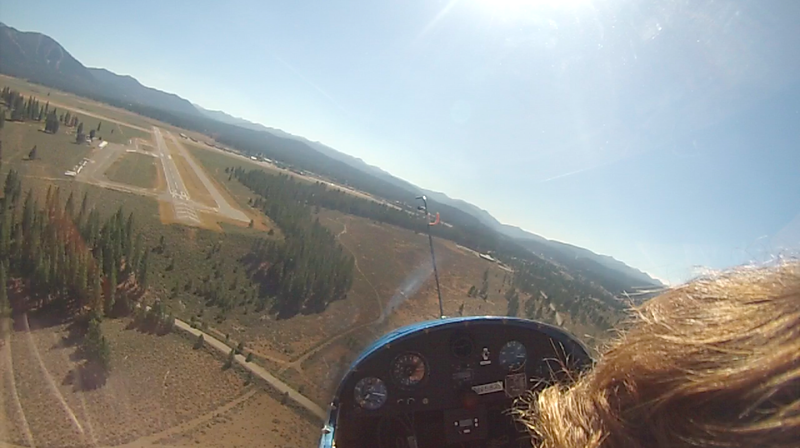 I got pretty nauseous from the circling, which was required to fly up the tight thermals. There wasn’t a whole lot I could do about it besides look at the horizon and breath deeply. 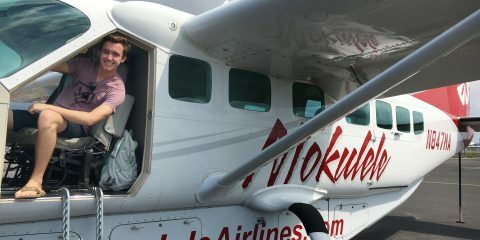 When we would fly straight for a period of time, that bad feeling would go away. 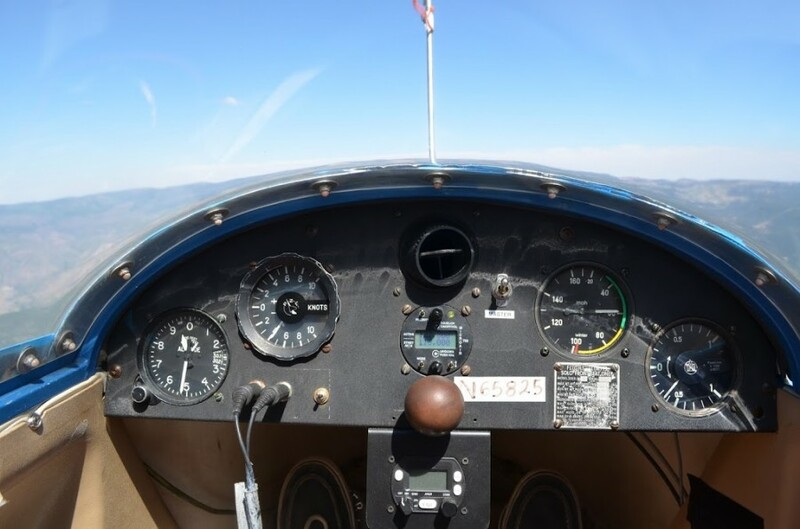 After reaching nearly 14,000 feet, the instructor got me to take control and feel the way the glider would fly. 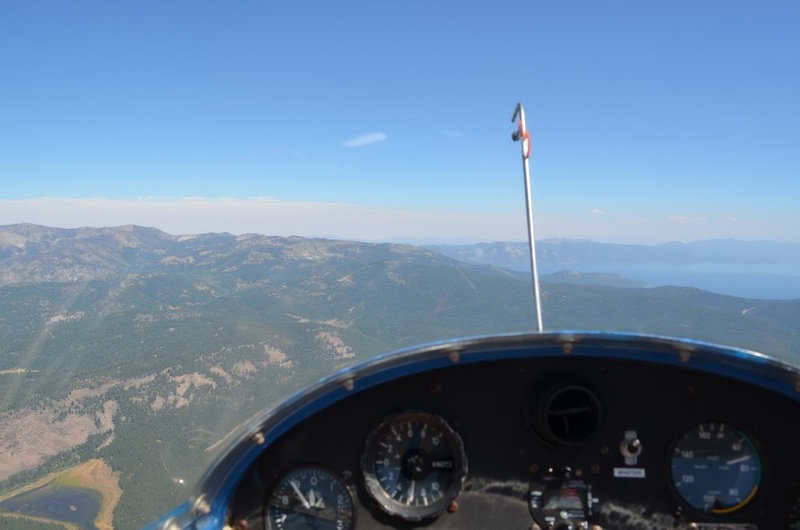 Because I wasn’t flying in any thermals, we descended a few thousand feet over a period of time. 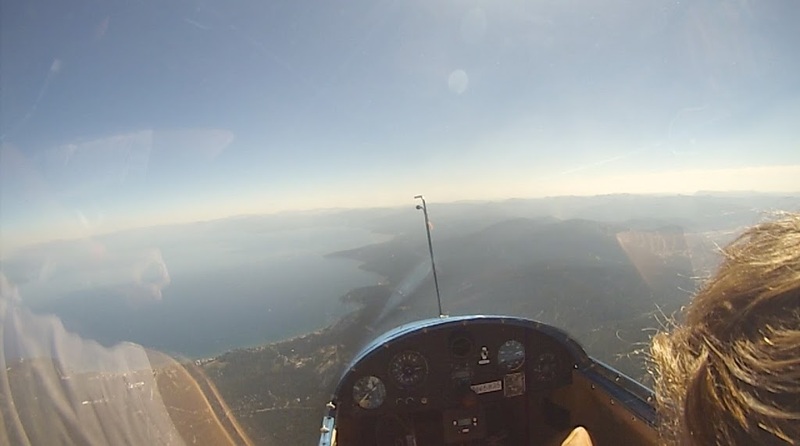 At that point, it was me who was going to do some thermal flying. 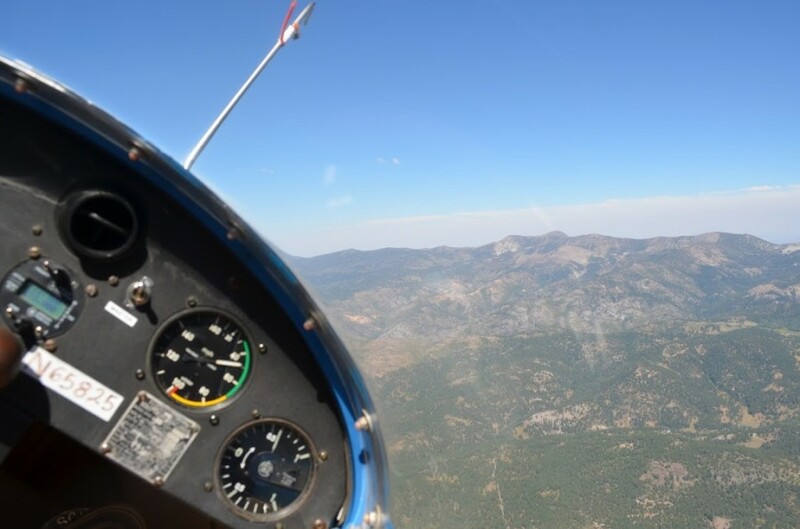 One strange thing for me was that I felt a lot better spinning if I was the one in control. My body could expect what was coming motion-wise. I didn’t ever really feel bad when I was the one thermaling. That said, the views of Lake Tahoe, Donner Lake, and the surrounding mountains were incredible from 14,000 feet. 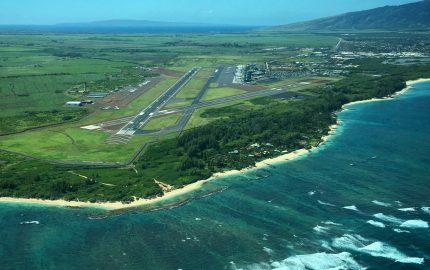 I loved being able to see many of the places I grew up vacationing in from a different perspective! It was especially cool to be circling up a thermal with 2 or 3 other gliders! 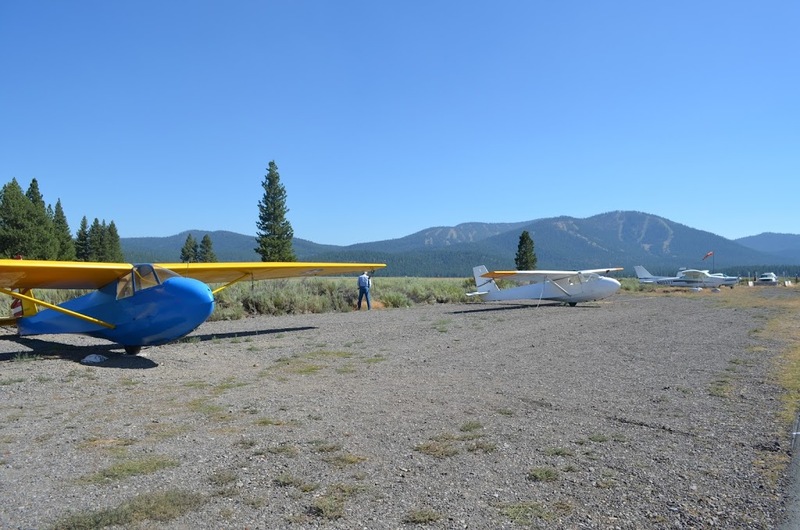 Looking down at the Truckee Tahoe Airport (KTRK), we counted over 15 private jets. Even for a vacation area, that was an unusual amount! There was everything from Gulfstream 5’s to Phenom 100’s. 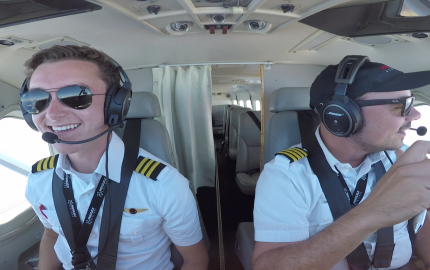 At one point, a Cessna Citation X took off directly under us. 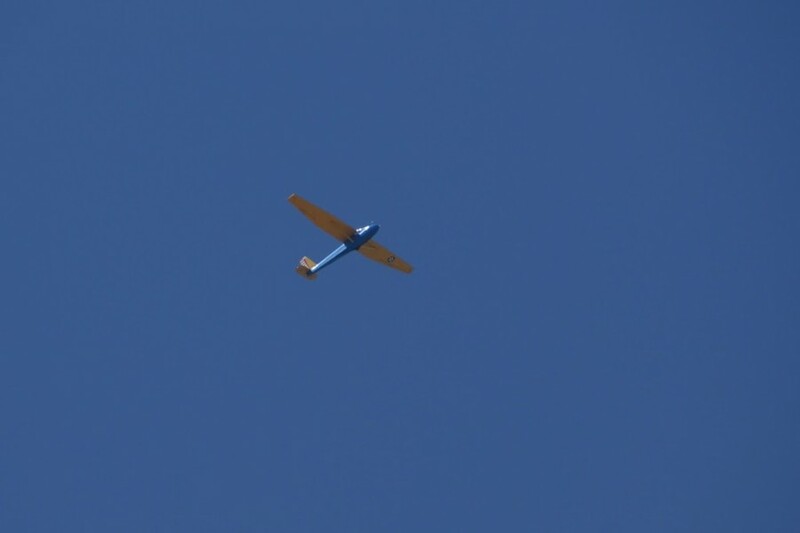 Within just a few seconds, it was above our plane at 6,000 feet AGL. 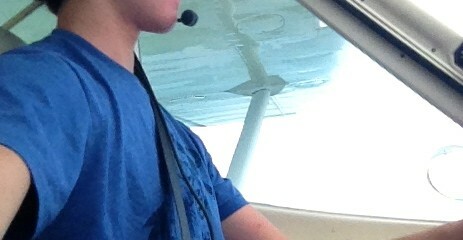 After exactly 1 full hour of flight, we decided it would be a good time to head back to the airport. At that point, I was pretty exhausted with all of the thermaling. Originally, I had 2 hours scheduled. I ended up deciding that I still got a great feel for things after 1 hour. Going through the pattern and landing was pretty interesting. 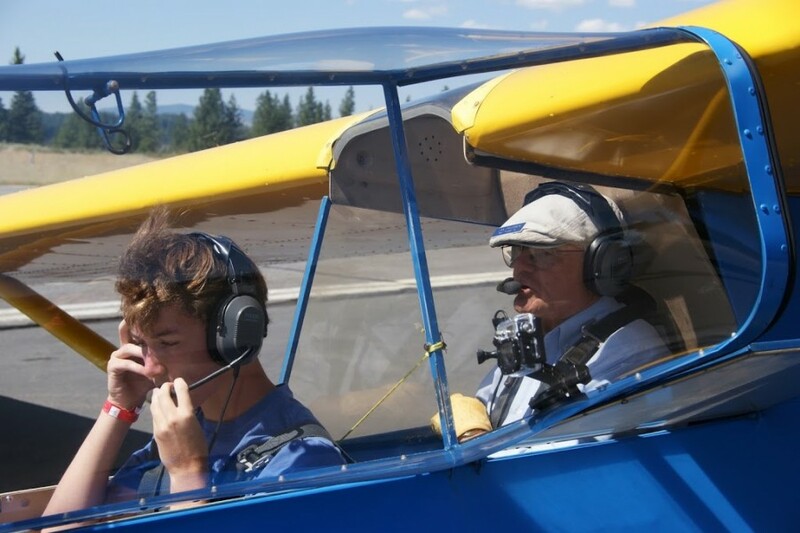 Being in the front, I controlled the spoilers when he would ask for them, other than that, all of the controls were with Jan. 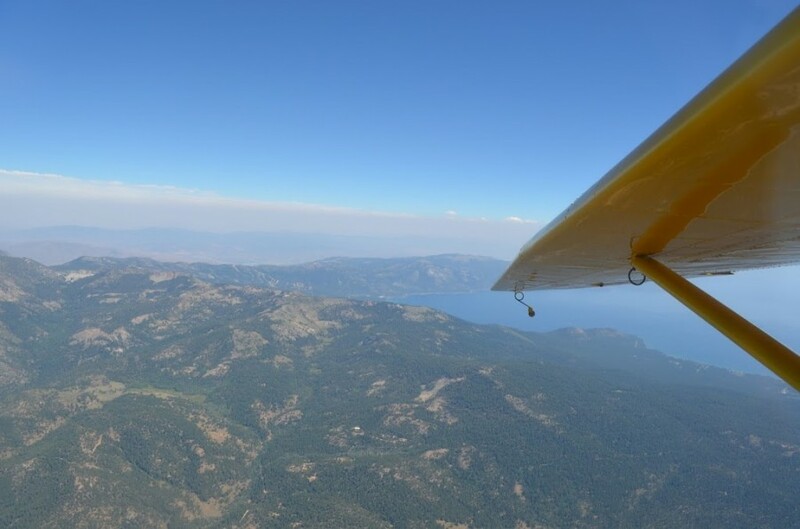 When you’re in a glider, you come in high to make sure you have enough room to land safely. 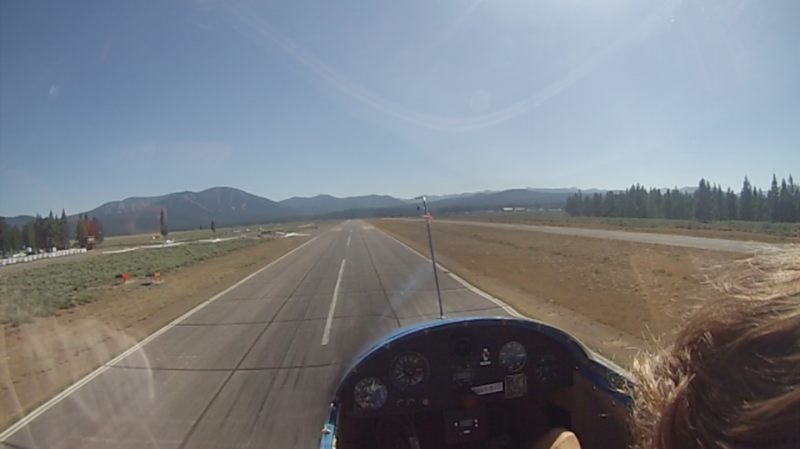 Touching down, we pulled off to the left into the pullout area and leaned the plane forward, where the brakes are located. Overall, I had an amazing first glider experience. Getting used to the thermaling took awhile, but it wasn’t anything too bad. 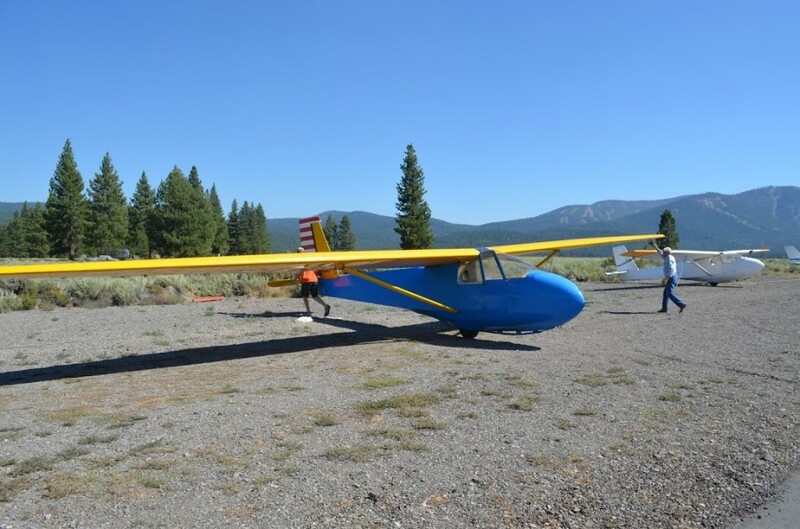 I would recommend Soar Truckee to anyone in the Lake Tahoe area. The people are so welcoming and always want you to have a good time. 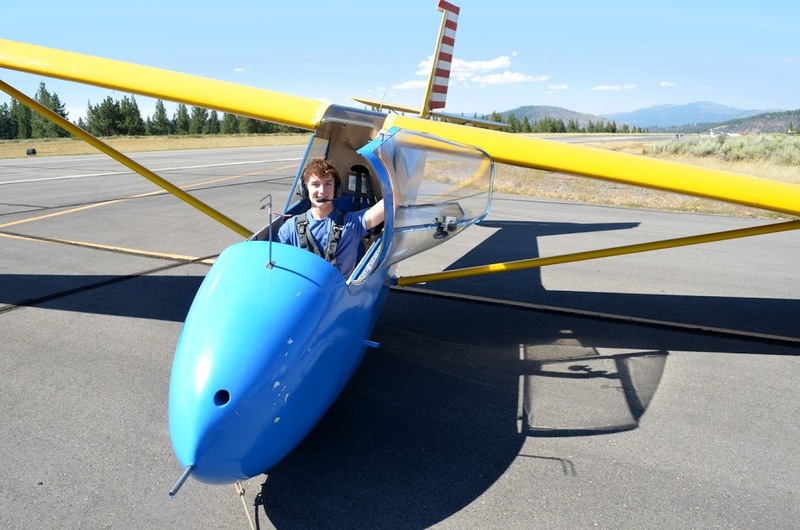 I promise you won’t regret taking your first glider flight! 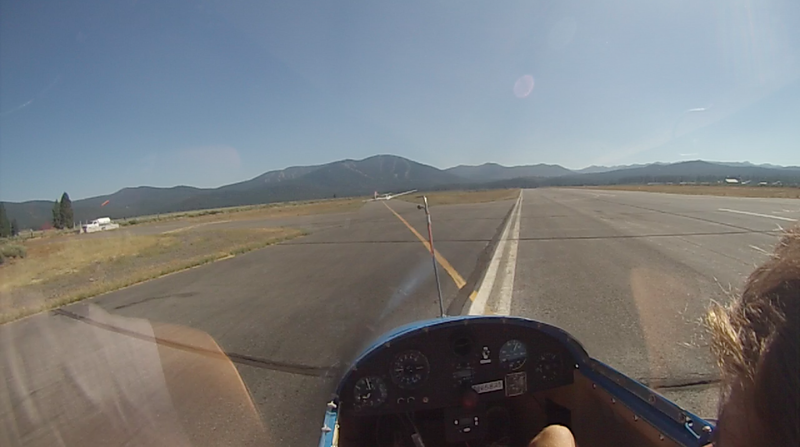 Thanks so much to Jan and the Soar Truckee for an excellent flight! Wow that looks like fun. Great lesson for you and your PPL training too. 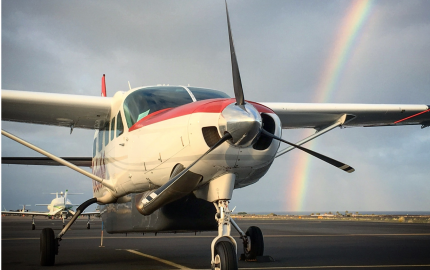 Just don’t expect that kind of range out of your Tecnam in the event of an engine failure! I did this once in Calistoga, California. 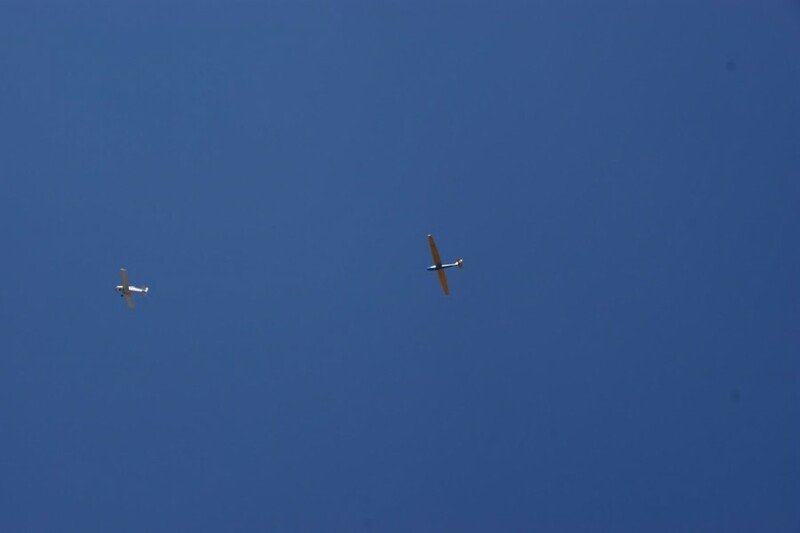 That was my first and only time in a glider, but I’d love to do it again. Awesome pics and I loved the video too! Thanks Brad! 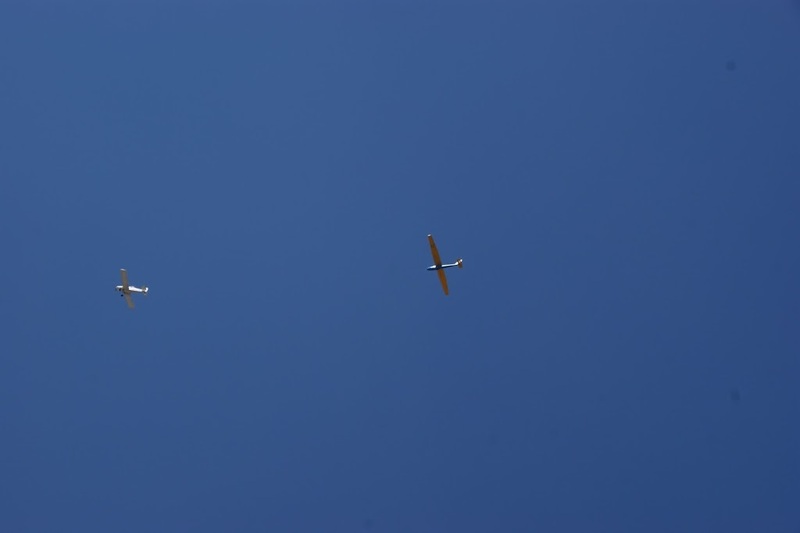 Haha yep, those gliders can go one forever!! Like you, I can’t wait to get back in a glider and try it out again, definitely something different! Looks like fun. 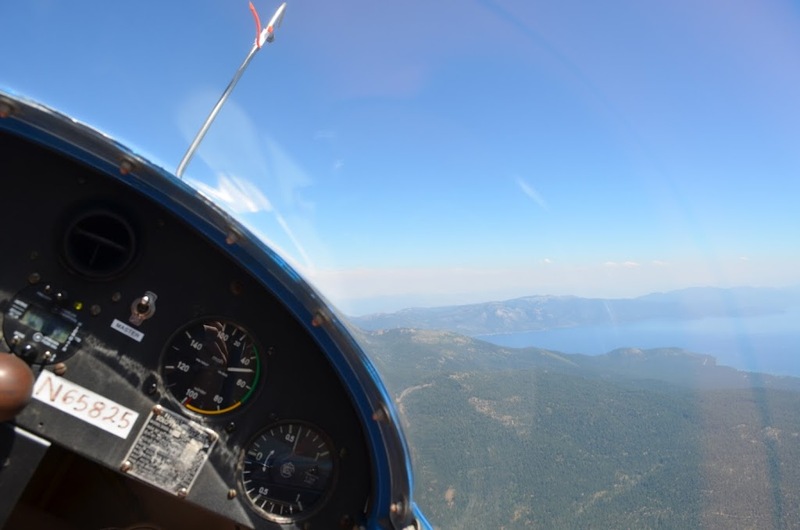 One quibble with your write up though, ‘spinning’ has a fairly specific meaning in aviation. 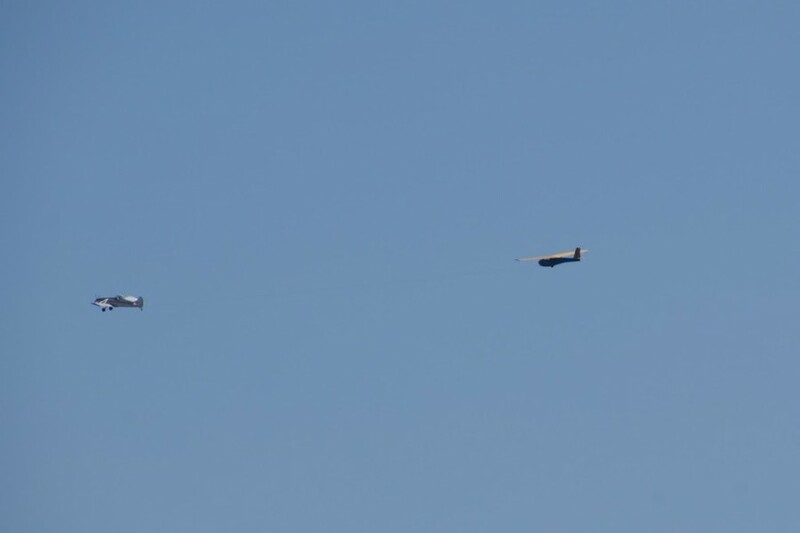 I suspect what you were actually doing was ‘circling’. Thanks for the comment, and yep.. I completely understand. Missed seeing that when I checked over the write up, just fixed it! No worries. I read through my own blog entries a couple of times before posting, but always seem to spot something just after I hit ‘publish’! No, thank you Karlene! Hoping the write up will get some people to try out gliding! Was a lot of fun! 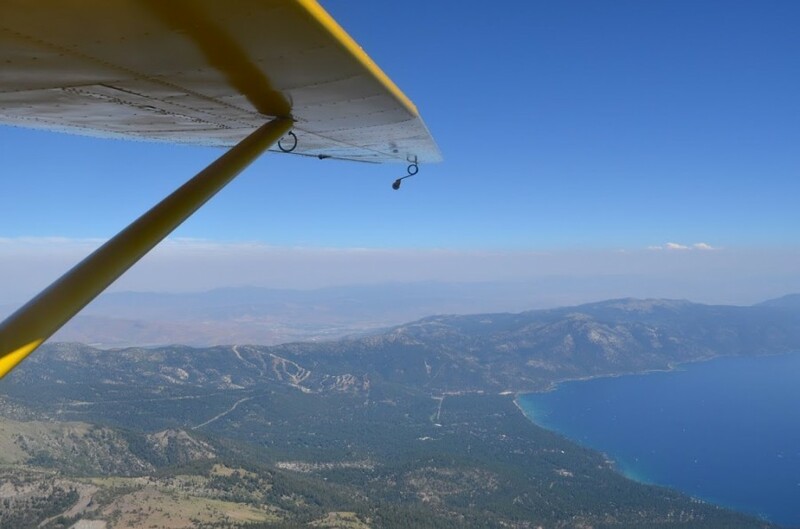 Gorgeous photos, great that you got to fly over Lake Tahoe, I loved it when I visited a few years ago. 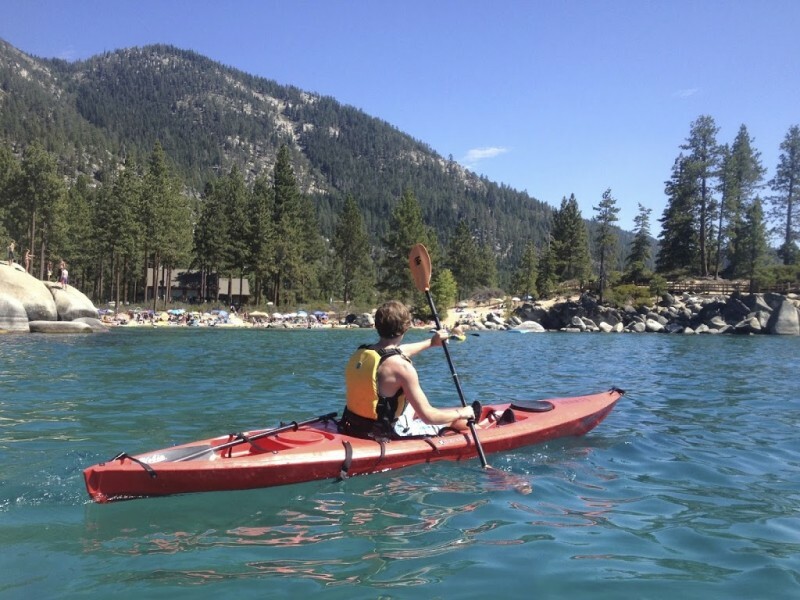 Thank you for taking me to LAKE TAHOE…I have always wanted to go there!! Breathtaking Swayne..love it!!! 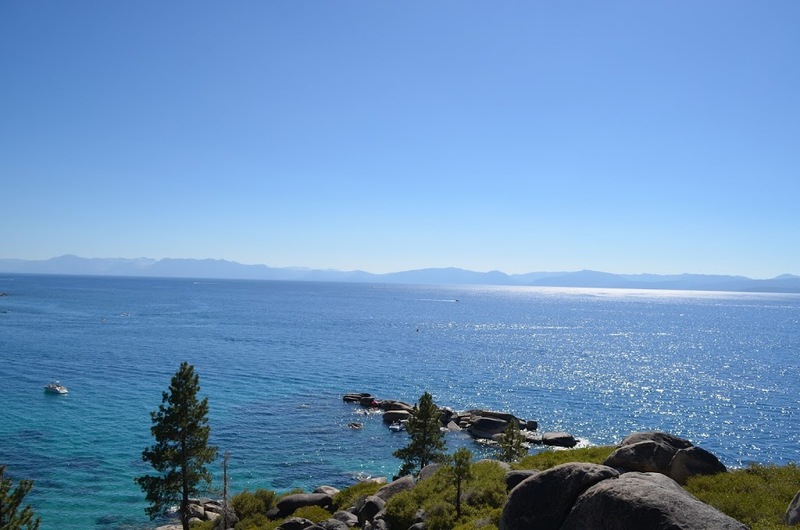 It’s an amazing place, take a trip over there when you get the chance.. and make sure to visit Sand Harbor… my favorite spot! Hi Swayne. 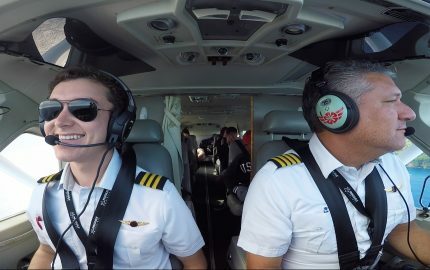 I’ve read your articles on BoldMethod from time to time. 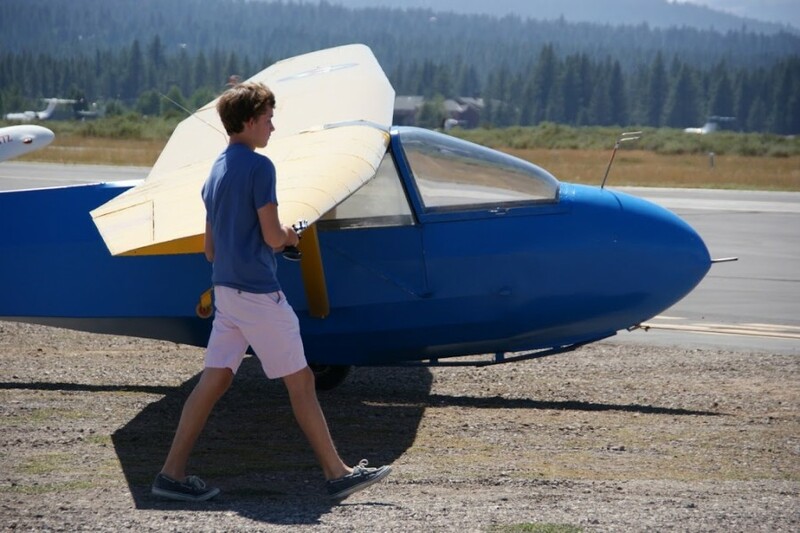 I’m a pre-solo glider student at Byron CA, near Mt. Diablo. Just got back from my first visit to Truckee, where we had a group of us flying our club glider, a Grob G-103. 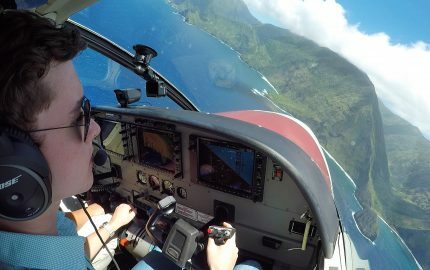 Spectacular soaring and scenery. 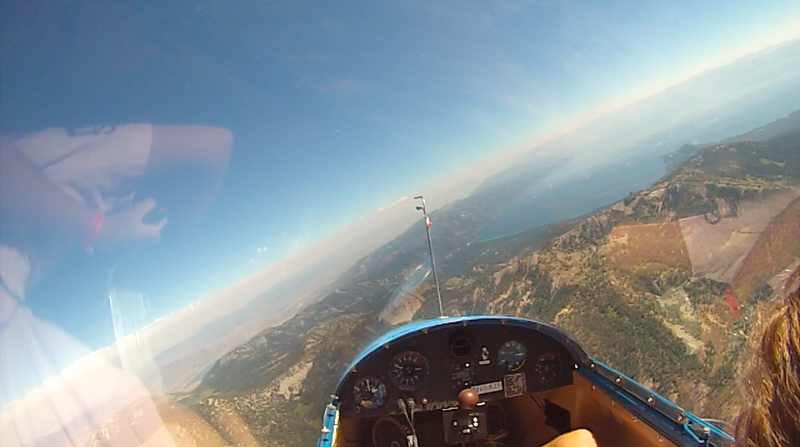 We got to 15000 ft AGL (about 9000 ft above KTRK) in excellent soaring weather. Whole bunch of people I knew there from our club and other nearby soaring clubs — it was like a class reunion. The gliderport includes that whole grove on Ponderosa pine trees adjacent, where they operate a campground for pilots to stay overnight or longer. (This was only my second camping trip too.) Lot of “firsts” for me this weekend. Sorry if I’m gushing, but the adrenaline hasn’t worn off yet. 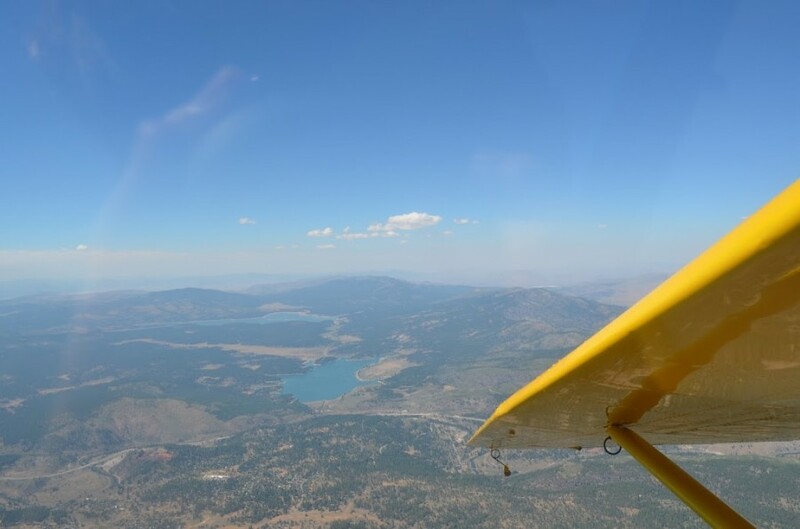 First flight in the mountains; first flight anywhere near let alone above 10000 AGL; first aerial views of Tahoe (and we could see Reno and Carson City too); first time using oxygen. 2.5-hour flight on Saturday and again on Sunday. I’m like totally pumped now! Great pics you got — I found this site specifically because I was just on-line looking for pics. And of course, 10000 AGL and 15000 AGL were supposed to be MSL, not AGL! Oops. Sorry about that. — J. J.